Genetic research into 'schizophrenia' - how much can it actually tell us? Athletic identity: Hercules' muscle or Achilles heel? Thousands of us signed the #equality4mentalhealth petition this week and the hashtag was even trending on social media. I signed, as did everyone from the Archbishop of Canterbury to to every actor you’ve ever heard of. No-one who works in mental health, or who saw BBC 1’s Panorama on ‘Britain’s Mental Health Crisis’ the other night could doubt that we need increased investment. Even though I worked in acute mental health wards for many years, I’m still reeling from the image of the daily ‘bed conference’ deciding who the ‘least ill patient’ was so they could discharge them to make room for someone else even more desperate. So yes, mental health services are pitifully underfunded. I take my hat off to the staff, like those we saw on Panorama, who come in to work every day and try to make the best of a very bad job. Even so, I think we need to be careful about taking the idea of ‘parity’ between mental and physical health too far. Much of the conversation seems to be about the need for more hospital beds, and how mental health problems are ‘an illness like any other’. Thousands of people are struggling to cope with anxiety, low mood, hopelessness, hearing voices, suicidal urges and all the other experiences that we think of as ‘mental health problems’, and we desperately need to invest more both in offering help and in prevention. But is a hospital always the best place for us when we experience these things? Leaving aside that psychiatric wards can be scary places, I’ve argued in previous posts that insisting on treating these experiences as ‘illnesses’ has big drawbacks as well as some advantages. In particular, it can make us a bit myopic about ways of offering help that don’t only rely on hospitals, clinics and ‘treatments’. Some of the much needed funding might – in fact if I’m honest I’d say definitely WOULD – be better directed to other sorts of services. Three have particularly inspired me and my personal plea would be for politicians and funders to check them out along with more conventional ones. One is the Open Dialogue approach pioneered in Finland and more recently in the UK, with a big project in London. Instead of admitting someone to hospital workers repeatedly meet the person with their family and just talk, listening respectfully to everyone’s different story about what is going on until a solution emerges. The results are extremely encouraging to say the least. The second is the Family Care Foundation which I visited recently in Sweden, where people open their homes to others who are in crisis or have ongoing problems. Documentary maker Daniel Mackler has made wonderful, moving films about both which are now freely available on Youtube: this is the one about Open Dialogue and this is ‘Healing Homes’ about the Family Care Foundation. I’ll be honest: I cried when I watched it recently at the ‘Driving Us Crazy’ film festival in Sweden. So did half the audience. We were crying because this is how things can and should be, but so often aren’t. After the showing Daniel came on stage and told us that he had had a grant to visit mental health services all around the world but had ended up making films about those two because he thought they were the best! The third service is Drayton Park Crisis house in North London, which shows that even the NHS can offer viable, successful and hugely popular alternatives to hospital admission for people in acute crisis. My recent interview with Shirley McNicholas, the inspiring woman whose vision brought the crisis house into being twenty years ago and who still manages it today, has generated huge interest. If I have a crisis, take me there or somewhere like it. Unfortunately that’s unlikely to be possible. Despite their huge popularity there are still a only a handful of non-medical crisis houses in the UK. We really need one in every town. Now that would go a long way towards #equality4mentalhealth. Christian Mayer on All in the brain? 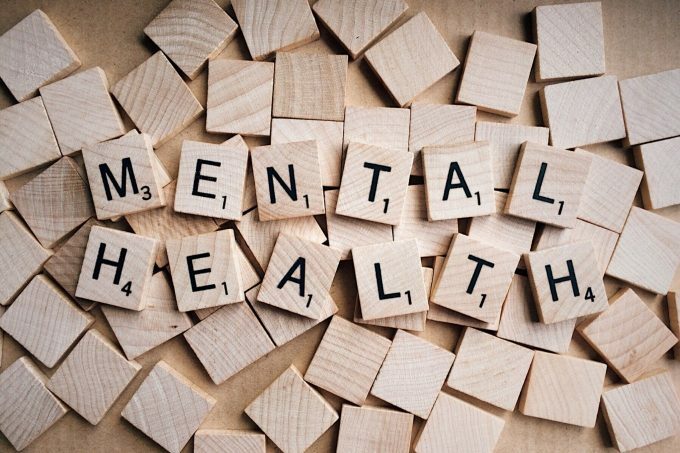 Podcast: The politics of mental health | Discursive of Tunbridge Wells on Roundtable: What should we do with the Mental Health Act? The views expressed in this blog do not necessarily reflect the position of Salomons Centre for Applied Psychology, or of Canterbury Christ Church University.